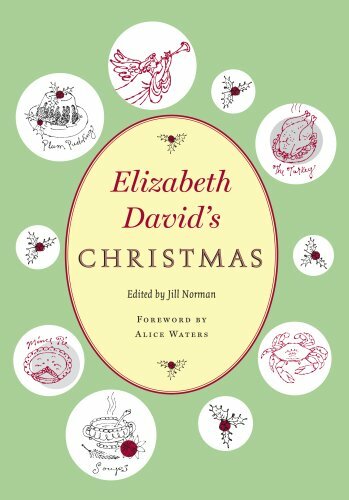 Throughout her distinguished career, Elizabeth David wrote and collected many articles about Christmas food. She put together a file of these articles, recipes, and notes, and even wrote an introduction, intending to publish them as a book. It never appeared, and after her death in 1992, her literary executor Jill Norman found a box with all this material. She put them together as Elizabeth intended, and Godine now has her Christmas edited for the American reader, handsomely illustrated and ready to guide us through the festive season with good food and high spirits. Beautifully written, this new edition contains around 150 recipes together with a selection of David's own articles, plus other writings she found interesting and helpful over the years. Feeding friends and family for Christmas can be stressful, and this book is intended to help busy cooks plan ahead and enjoy Christmas as much as their guests. The classics are all here: turkey (of course), but also goose; stuffings; sauces; mince pies; and Christmas puddings. For the armchair cook, the text also provides information as well as diversion: here are the actual traditions of Christmas's past, as well as description of the yuletide in other countries. In other words, a feast for mind and table.